Contemporary art is my life. I am a gallerist, art collector, art lover, art writer… I am pretty much obsessed with art and design. The seed was planted early since my parents were exactly the same. Everything in our home was an artwork or a designer’s object. Antiques, contemporary, or modern, there was no boundaries when it comes to movement, eras and styles. Home being home, my parents never make it feel like a static museum and we were happily living with art. My son was born two and a half years ago and I think that we are doing it all over again. 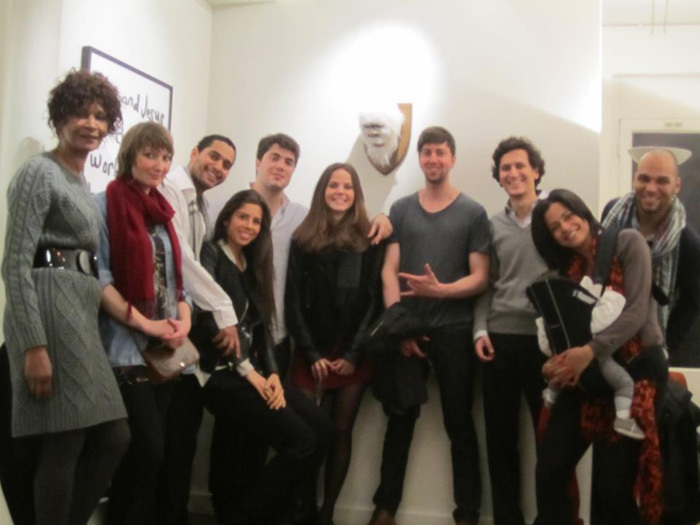 Here he is at Oliver Bragg’s opening The Super Collider Will Eat Your Brain. I was later asked if I was not afraid that my son would be scared of the Yeti. You mean the award-winning, brilliant work by the ever-so talented Bragg? That did not even cross my mind! This comparison between my childhood and his crossed my mind and I started looking around his room. Here are three objects and artworks that were picked for him and that are in this room today. The cute yet psychedelic characters of the internationally acclaimed artist Takesada Murakami made their way into my son’s room. 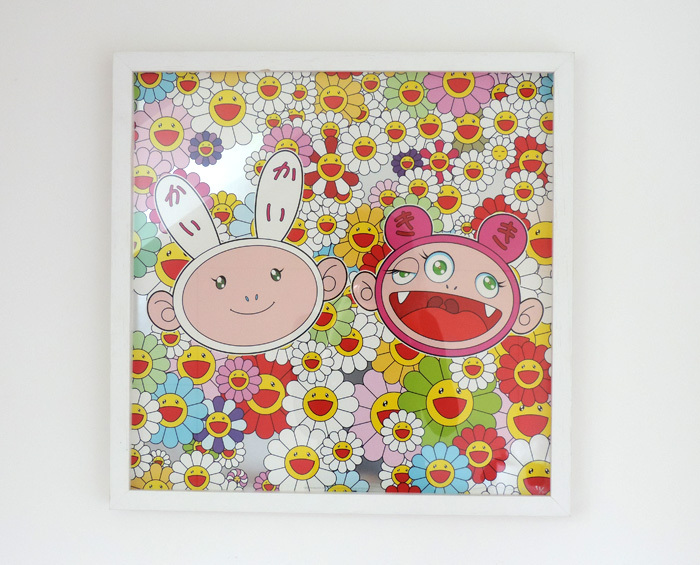 Murakami has coined the term “Superflat” according to which the western art emphasis on surface is in opposition to the Japanser 2-dimensional imagery that still prevails today in mangas. Superflat also served as a commentary on post-war Japanese society in which, Murakami argues, differences in social class and popular taste have ‘flattened’. As a result, his characters where inflated into balloons for Macy’s Thanksgiving parage in New York in 2010. 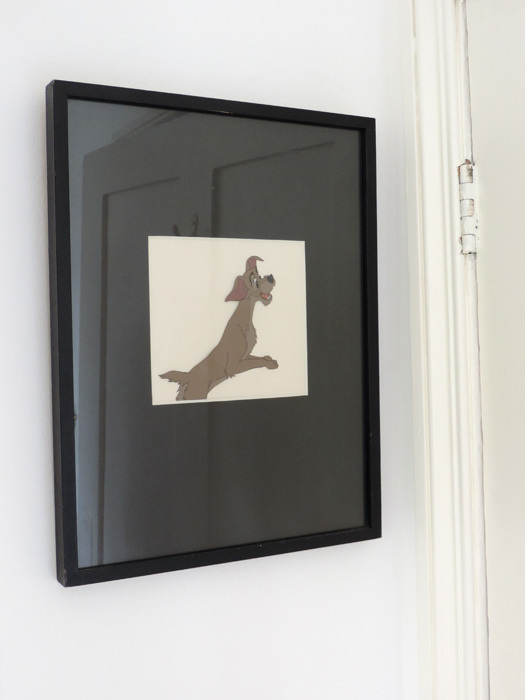 This gouache on trimmed celluloid was made by Disney’s studios in 1955 for the classic animation. I was thrilled when I found it at auction a year or so ago. I will state the obvious by saying that it makes all the generations coming through the room smile. On a sunny Sunday last summer, we went with my family to the market on Chatsworth Road. Once there, one cannot help but stop in the Ali Baba cavern that is Triangle, a store located on the main street. 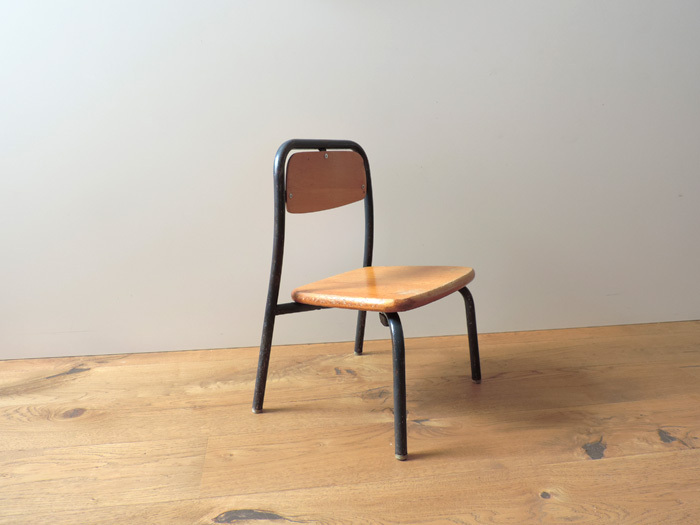 There I saw this vintage 1950’s school chair and thought that it would be a great addition to my son’s room. When I told him it could be his, he was so excited that he wanted to sit on it right away, on the sidewalk. I decided on that day that he was a two-year old design addict, although it might have been sheer tiredness having followed his mother on her too frequent quests. My son loves his chair, proudly names the colours in his Murakami and his delighted to have a dog. The family art adventure continues!